You are going to be hearing the term “Wearable Tech” a lot in the next few years. Like the name says, it’s technology that’s incorporated into your wardrobe. Of course, wearable tech is nothing new with things like the Apple watch, Snapchat spectacles, and Fitbit having been on the market for a few years. Whether it monitors your sleep, helps you workout or just lets you more easily answer emails, tech is quickly becoming an essential part of what we wear. 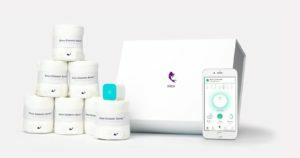 Instead of just adding convenience, one company is attempting to go a step further and use wearable tech to help save the lives of those living with diabetes. Meet San Francisco based company Siren. They’ve merged technology and footwear to help detect early signs of foot ulcers in those living with diabetes. According to APMA.org, diabetes is the leading cause of non-traumatic lower extremity amputations in the United States, and approximately 14-24 percent of patients with diabetes who develop a foot ulcer will require an amputation. Foot ulceration precedes 85 percent of diabetes-related amputations. Monitoring the temperature at the bottom of feet has been clinically proven to prevent up to 87.5% of foot ulcers. That’s exactly what the Siren socks do. These smart socks are made with Neurofabric which is the first textile with microsensors woven directly into the fabric. 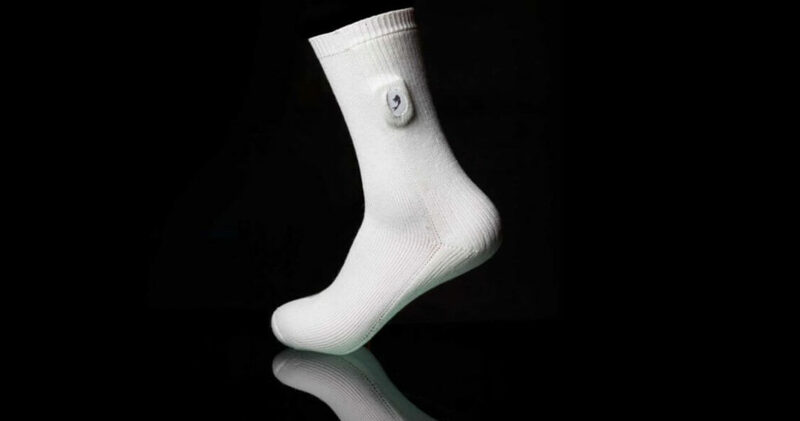 These virtually invisible sensors are integrated into the socks and continuously monitor temperature changes on the bottom of the feet. 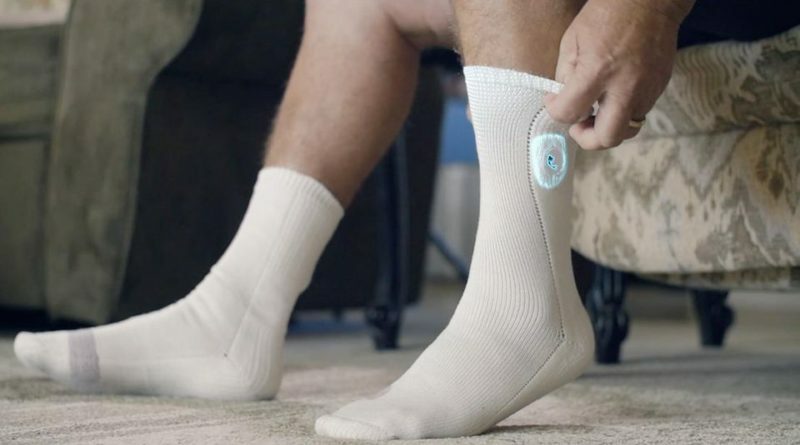 The sensors send a signal to a small tag in your smart sock. The tag then wirelessly transmits a foot’s temperature data via Bluetooth to the Siren app. If signs of inflammation are detected, you will receive a notification. If you don’t have a smartphone, the socks also send information to the Siren Hub which can be plugged into a wall outlet. The Siren Hub can send alerts to a home phone or e-mail. Users can also log into an online web portal to check temperature data and foot health. 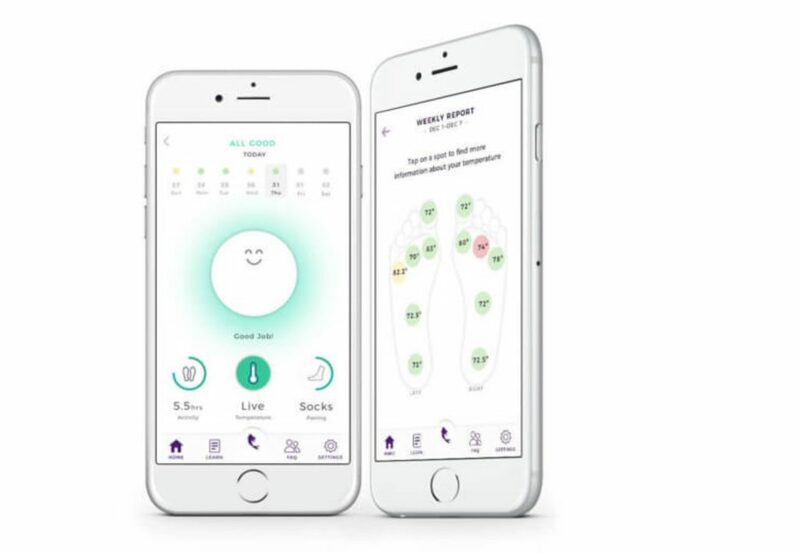 “This is precisely the type of wearable tech that resonates with the everyday consumer as it focuses on how to better serve them – in this case, those with underlying health conditions. What both the fashion and tech industries should continue asking themselves is how can we continue working together to serve our ever-growing tech-dependent consumer base to help them with things that matter like saving them time, money and even their lives – as this would inevitably do the same for us,” said Ellie Zambrano, Founder of Fashion Tech media series Geek Of Chic. Siren recommends replacing the smart socks every six months. If the socks get worn, they could be less effective at monitoring foot temperature. As far as pricing goes, the Siren Foot Monitoring System and Socks cost $19.95 per month. When a customer signs up, they will receive five pairs of the temperature monitoring socks. They will then receive replacements every six months. Siren recommends wearing the socks multiple days per week so they can provide a better analysis of foot health. You can go to the company’s website to join the waitlist and get more information. We’re looking forward to seeing how these smart socks perform and respond to routine wear. Diabetes affects over 415 million people worldwide and is rapidly growing. Wearable tech like the Siren socks could help prolong and improve the quality of life for those suffering from the terrible disease. It can also open the door for other types of wearable tech to help detect medical conditions. Check out our articles on an ingestible pill that can be controlled by a smartphone and artificial intelligence helping to protect your home.